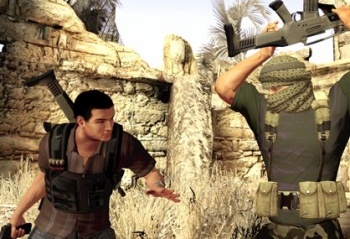 Alpha Protocol will not be getting a sequel, despite being a "brilliant concept." Obsidian's spy RPG Alpha Protocol was pretty unique, and it seems it's going to stay that way. Sega West boss Mike Hayes said that lackluster reviews and unimpressive sales meant that it Sega would not be investing in a sequel. "Let's speak very commercially; the game hasn't sold what we've expected, therefore we won't be doing a sequel," said Hayes. "You know this whole thing with Metacritic where you have to be in the high 70s to mid-80s minimum [to have any success] - well, with RPGs you have got to be in the late 80s." "Whilst we had a good game, I don't think we had a game that had enough to get us to that upper echelon and I think that was the issue ... The amount you need to invest to get there is so large because RPGs are naturally big projects. We've decided we won't do a sequel." Alpha Protocol was lauded for its story and dialogue, but many reviewers to issue with the large number of bugs the game had. It's a shame that game will never get to build upon the bags of potential it had, but sadly, potential alone doesn't pay the bills.